Even the callback to Roots seems retrograde. I never watched this show, and, bizarrely, it doesn’t even seem to have a Wikipedia entry. It just looks like the worst thing ever. For the most part it used exactly the kind of music that you would expect it to, and that is used in the trailer – pop hits from the Lovin’ Spoonful to R&B hits from Smokey Robinson. If you imagine that this is going to have to use “Sunshine of Your Love”, you’re absolutely correct. Musically it is quite nice, even if the bass is a little too upfront for my tastes. Not a bad version at all. I don’t think that the presence of Osborne adds a great deal – she’s yet another talented vocalist who is pretty much incapable of finding a way of harmonizing with Dylan. Don’t worry, Joan, everyone fails this test. Osborne is an interesting figure. An almost textbook definition of the one-hit wonder, she had tremendous success in 1995 with the horrible song “One of Us”, and has never come close to a hit subsequently. She’s still recording country music, and she clearly has some talent, but she would have seemed to be on the downside of her career by 1999, although she did open for The Dixie Chicks on their ill-fated 2003 tour (post-Natalie Maines criticism of George Bush). The funny thing about the video of this song on YouTube is that the whomever made the fan video clearly thought that Dylan was singing with Joan Baez – and, indeed, more than a few commenters feel the same way. It’s sort of bizarre to hear Dylan and Osborne and to watch a series of stills of Dylan and Baez, even if it probably fits the theme of The ‘60s better. Perfectly fine version of this. 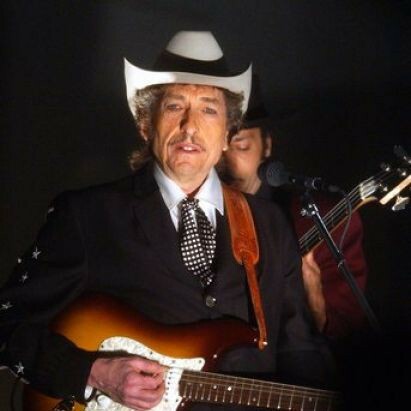 It was the only new material that Dylan put out in 1999 (one of his slowest years in a long time). Not memorably good nor bad, it’s just sort of out there. Forgettable is probably the best word for it.